Netzsch is proud to announce that it is currently the sole supplier to Space Exploration Technologies Corp. (SpaceX) of high temperature thermal analysis instruments used to characterize material properties for space applications. The instruments will be used to fine tune properties of existing materials and to develop new materials for use in the demanding, harsh environments of space. The ability of Netzsch to custom engineer and modify the instruments to meet SpaceX’s requirements was a key factor in their choice of vendors. SpaceX is transforming the way rockets and spacecraft are made. It is the only private company ever to return a spacecraft from low-Earth orbit, and the first to send a spacecraft to the International Space Station -- a technically challenging feat previously accomplished only by governments. In October 2012, SpaceX’s Dragon spacecraft again successfully delivered cargo to and from the space station, in its first official cargo resupply mission for NASA. Mission critical material will be developed, tested and modeled using data from Netzsch’s Thermokinetics software. Therefore the precision and accuracy of the data is of the upmost importance and is why Netzsch Instruments were chosen over other vendors for this role. 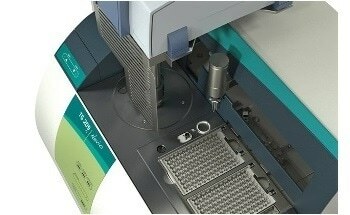 Netzsch instruments will be used to measure basic material properties along with other thermophysical properties. Some of these properties will include 1 , 2 and 3 order transitions, coefficient of thermal expansion and contraction, modulus, energy adsorption dampening, heat capacity, thermal diffusivity, thermal conductivity along with software and heat transfer data to model and build heat management systems. SpaceX (Hawthorne, CA) designs, manufactures, and launches the world's most advanced rockets and spacecraft. The company was founded in 2002 by Elon Musk to revolutionize space transportation, with the ultimate goal of enabling people to live on other planets. Today, SpaceX is advancing the boundaries of space technology through its Falcon launch vehicles and Dragon spacecraft. SpaceX is a private company owned by management and employees, with minority investments from Founders Fund, Draper Fisher Jurvetson, and Valor Equity Partners. The company has more than 2,000 employees in California, Texas, Washington, D.C., and Florida. For more information, visit www.SpaceX.com.